Summer Camp – Coding, HTML, Minecraft, Animation, Raspberry Pi. Scratch, Web Design, Robotics. Fun and Educational Multi-Activity Technology Camp for 7 – 13 years. Experienced teachers. 21 venues. Book now. 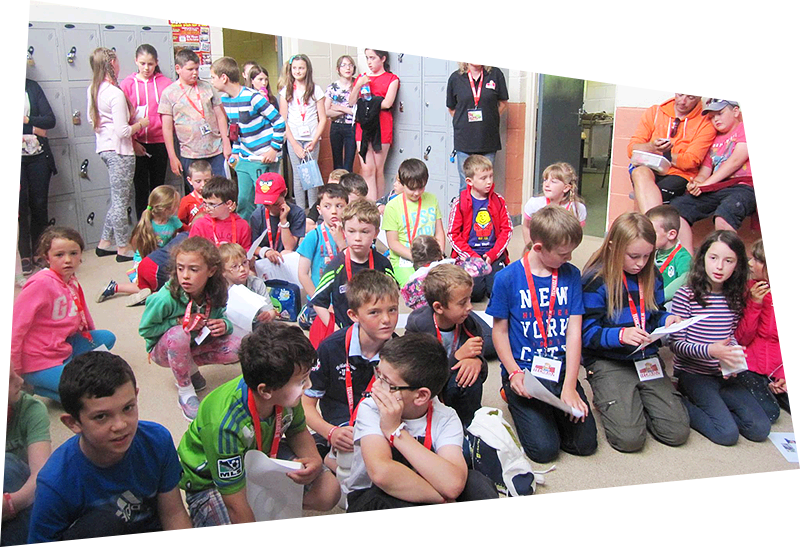 Our Summer Camp Midleton is a Multi Activity Technology Camp, for children aged 7 – 13 years. All children will firstly learn the basics, which we think this is important. There is a big emphasis on creativity and most children will get to design and make their own Badge, T-shirt and Ruler. All children will be introduced to Coding and Programming and they will get an opportunity to design and create their own Computer Games. Children will have fun mixing Music, creating Animations and learning Robotics. Older children will get to experience 3D Design as well as using a Raspberry Pi. Some children will get to design their own Website and everybody will get to do lots of activities in Minecraft. Our Summer Camp is Fun and Educational. We teach children how to stay safe online and the camp provides children with an opportunity to develop their Social, Personal and Teamwork skills. Usually we group children of a similar age together and create a specific programme for them. All the details can be found on our website – www.techkidz.ie. Children can come to our Computer Camps for a number of summers to develop and practice their skills. Each child will work on a laptop or Raspberry Pi provided by Techkidz. Places are limited and Summer Camps usually fill up fast. Book now either online or calling Paula at 022 51318. 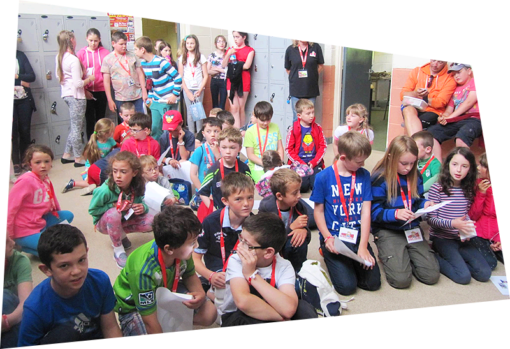 For your information: When booking online you can pay in full or pay a deposit of €50 with the balance payable on the first morning of the Summer Camp. 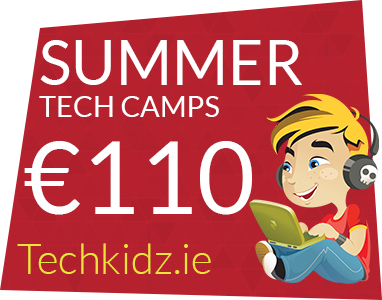 All deposits are not refundable except in the unlikely event that Techkidz should cancel the Summer Camp. For a family booking, we offer a €25 discount off the 3rd sibling. This will be done automatically online. Once your have booked and paid, you will automatically and immediately receive a confirmation email from Techkidz. We will contact you by phone and email the week before the Summer Camp to confirm the all the details. 160 West End, Mallow, Co. Cork.